This might be the easiest nail design ever! I would never think to use aluminium foil. I cut a small piece of foil and cut that into small strips. 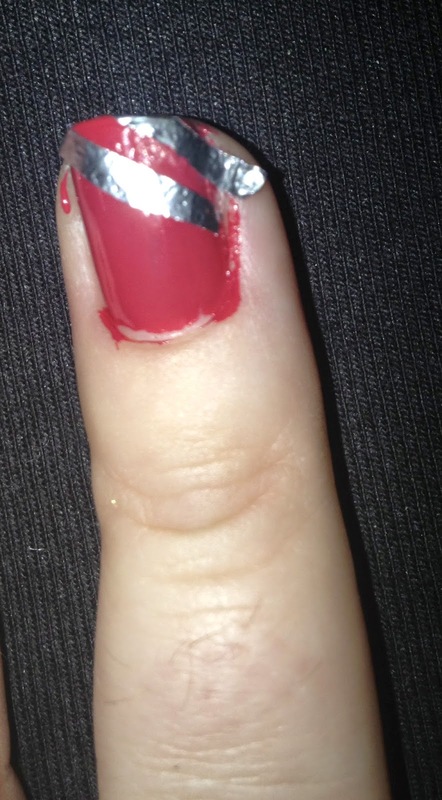 I used the foil on accent nails but you can also apply to all of your nails. 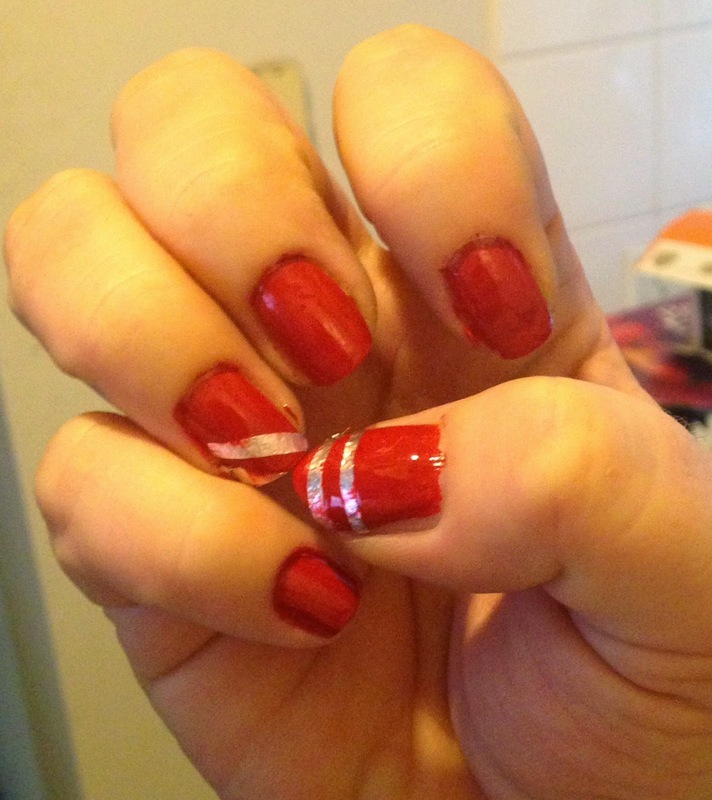 I used thin strips but you can cut out any design. 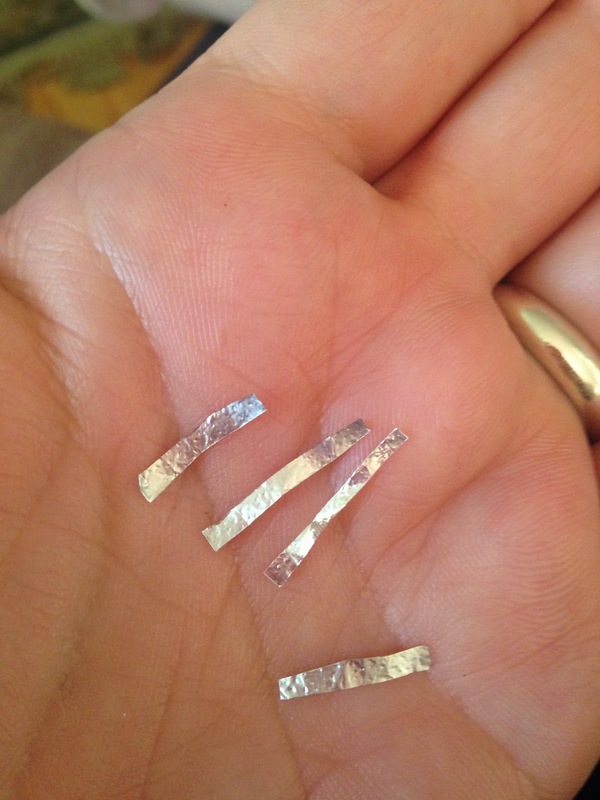 Cut aluminium foil into thin strips. Apply Base coat to protect the nails from discoloring. 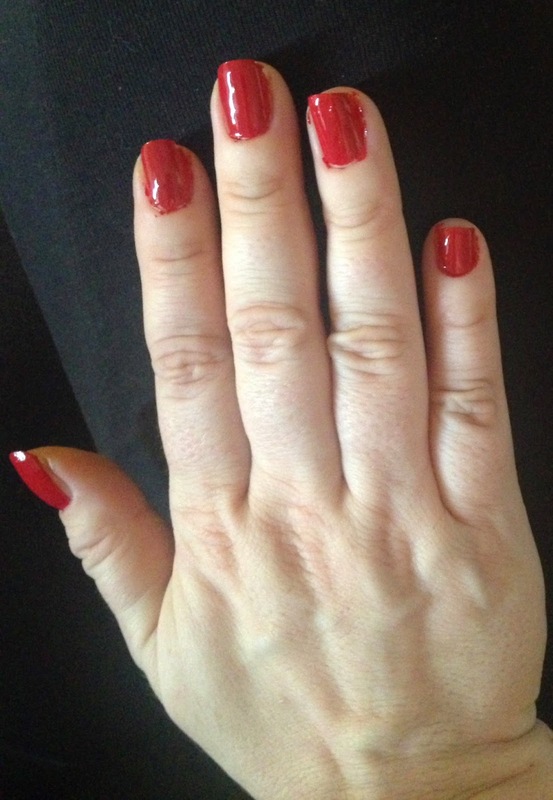 This also prevents the nail polish from chipping. Once base coat is dry apply a base color. 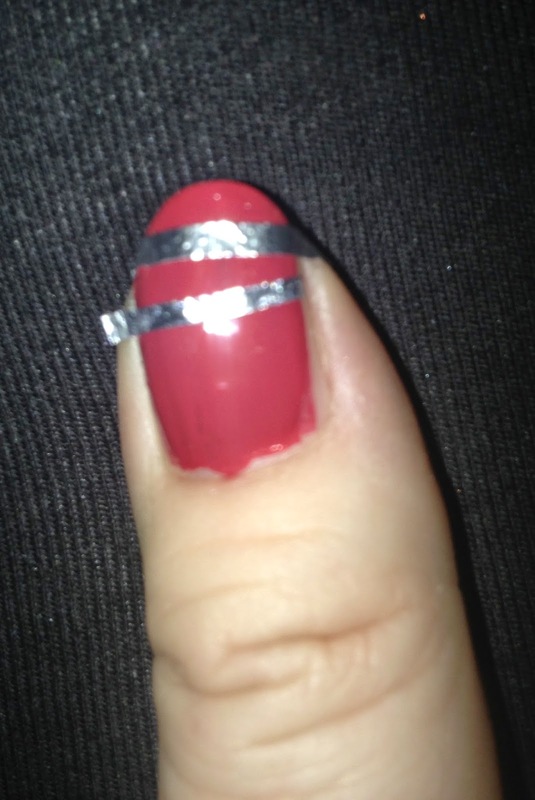 While the base color is still wet, apply the foil strips to the nail. 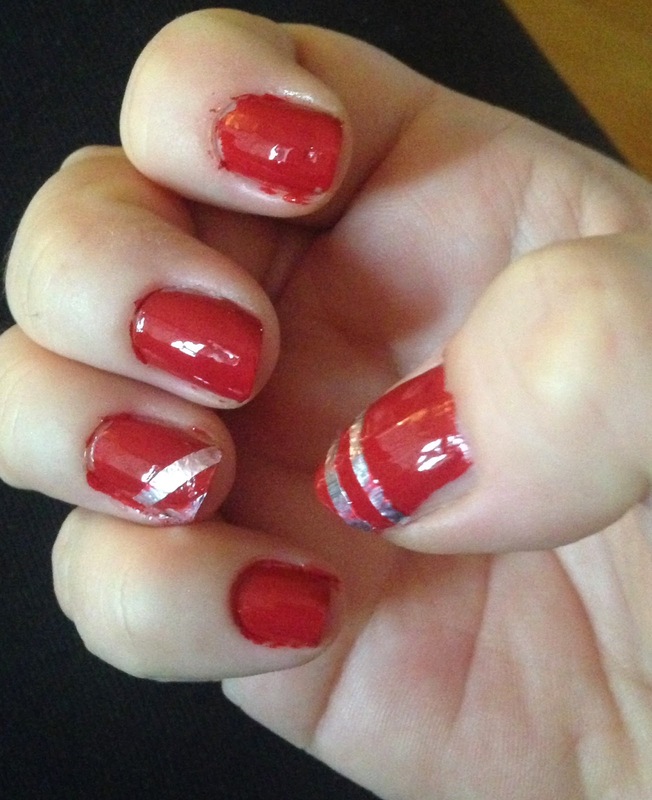 Gently press the nail to make sure the foil is sticking to the nails, especially if the foil is on sides of nail. Let dry a few minutes, apply top coat to seal in design. Once nails are dry use small scissors to cut any long pieces of foil from the nail. And there you go!! A pretty nail design that only takes minutes!! Coming in October: Halloween Series Nail designs!